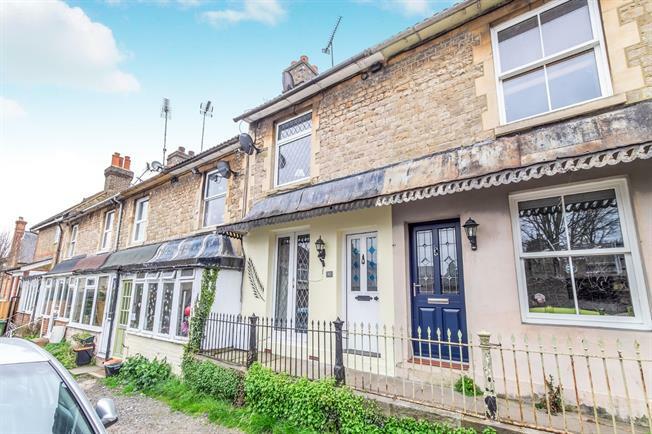 2 Bedroom Terraced House For Sale in Maidstone for Offers in the region of £230,000. Bairstow Eves are delighted to offer for sale this chain free property in a secluded spot in Maidstone. This chain free property has so much to offer including a living room, kitchen breakfast room, lean to utility space, two double bedrooms and a bathroom. There is a cellar offering excellent potential to add another bedroom or additional living space pending the relevant approvals. There is a rear garden with rear access and to the front, a covered veranda with railings giving this property real kerb appeal. A must see property.